For the individuality of your bathroom, we now offer the elegance, creativity and high quality of the Milano towel warmer in Brushed Nickel. The crisp angles provide a superior atmosphere in the bathroomof today. 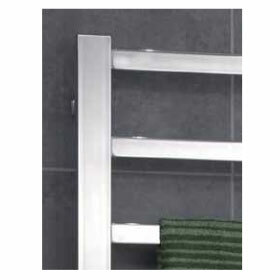 We are the online source for ICO Canada Towel Warmers including Milano in Brushed Nickel with shipping to all across Canada and the USA including British Columbia including areas of Vancouver, Victoria, Kelowna, Abbotsford, Kamloops, Nanaimo, Chilliwack, Prince George, Vernon, Courtenay and municipalities of Surrey, Burnaby, Richmond, Abbotsford, Coquitlam, Saanich, Kelowna, Delta and Langley Township. 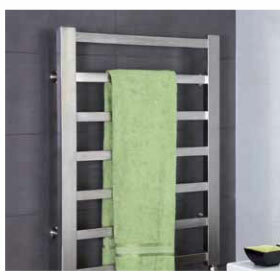 If you are renovating, redesigning your bathroom or simply needing a new Towel Warmer, let ICO Canada Milano in Brushed Nickel add class and style to your Bathroom. 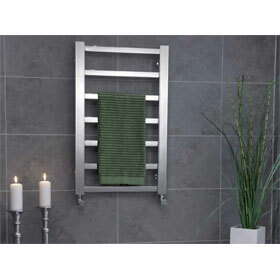 And so, if you are looking for a quality Towel Warmer at an affordable price, consider ICO Canada Milano in Brushed Nickel from Bliss Bath & Kitchen. Be it a Traditional, Transitional, Modern | contemporary style Towel Warmers at a great prices, consider Milano in Brushed Nickel by ICO Canada.